Description: Sinclair Oil Corp is a business categorized under service stations-gasoline & oil, which is part of the larger category gasoline service stations. 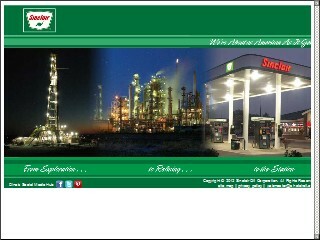 Sinclair Oil Corp is located at the address 8307 Park View Blvd in La Vista, Nebraska 68128-2135. The Manager is Lou Caccomo who can be contacted at (402)331-4145. Location & access map for "Sinclair Oil Corp"